Looks beautiful in my classroom, very colorful and soft! It really adds a pop of color and ties the whole room together. Very happy with this purchase. 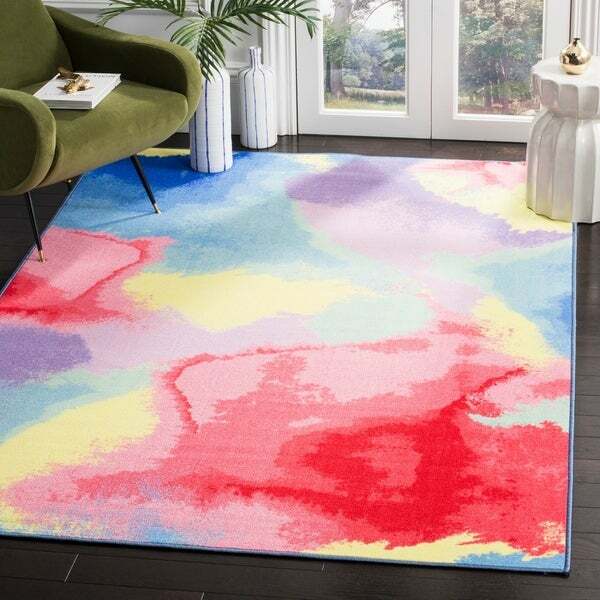 Safavieh Paint Brush Pink/ Yellow Area Rug - 5'-1" X 7'-6"
Safavieh Daytona Turquoise/ Fuchsia Polyester Rug - 5'-1" X 7'-6"
Safavieh Daytona Ivory/ Pink Polyester Rug - 5'-1" X 7'-6"
Safavieh Daytona Ivory/ Purple Polyester Rug - 5'-1" X 7'-6"
Safavieh Skyler Modern & Contemporary Ivory / Pink Rug - 5'-1" X 7'-6"